Convert Email to HTML free with Coolutils. For your safety there is no registration and sharing personal information required. You just open the page with online converter and turn your emails to HTML. The file you get as a result contains valid HTML code - texts wrapped in HTML can then be used as content for websites or simply for viewing locally through the web browser. The process will take you a minute. You need to upload file to server, select HTML in the list of formats and press the Download button. The browser will offer you to open or save result file - this is up to you. 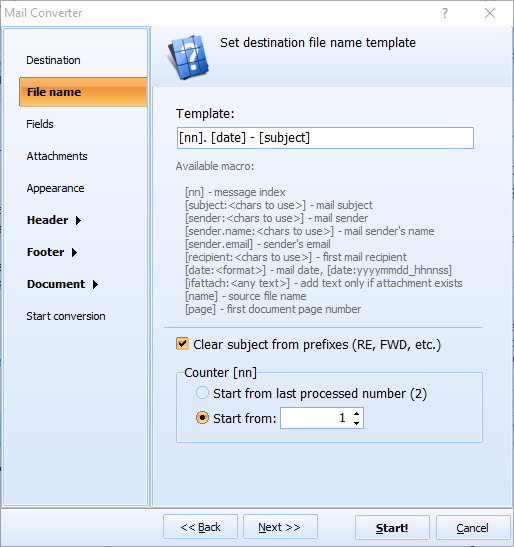 This free online mail converter features adjusting header and footer - you can insert any info there, setting the template in tags like [page] or [date]. This setting can be skipped if not needed. 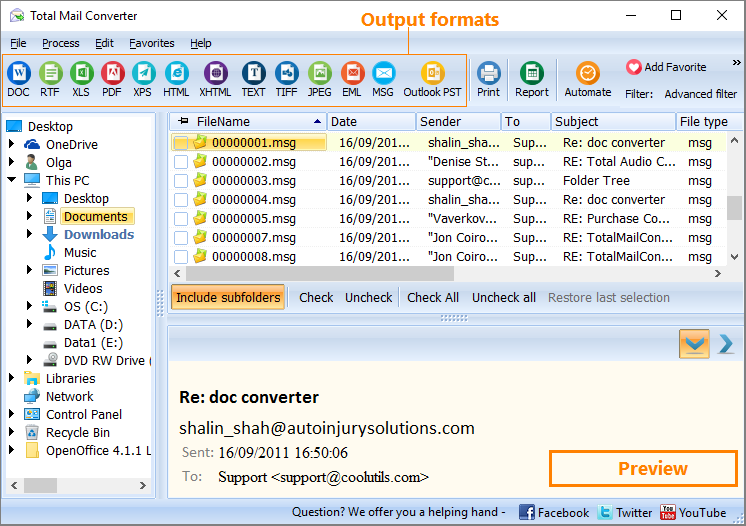 The desktop Total Mail Converter is far more powerful. You don't have to send your files to the web, you convert everything right on your machine. 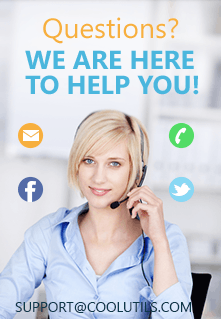 The bulk jobs can process hundreds of emails at a time. Advanced settings allow adding page numbers, stamp bates, insert image watermarks and much more. Choose between these 2 options. 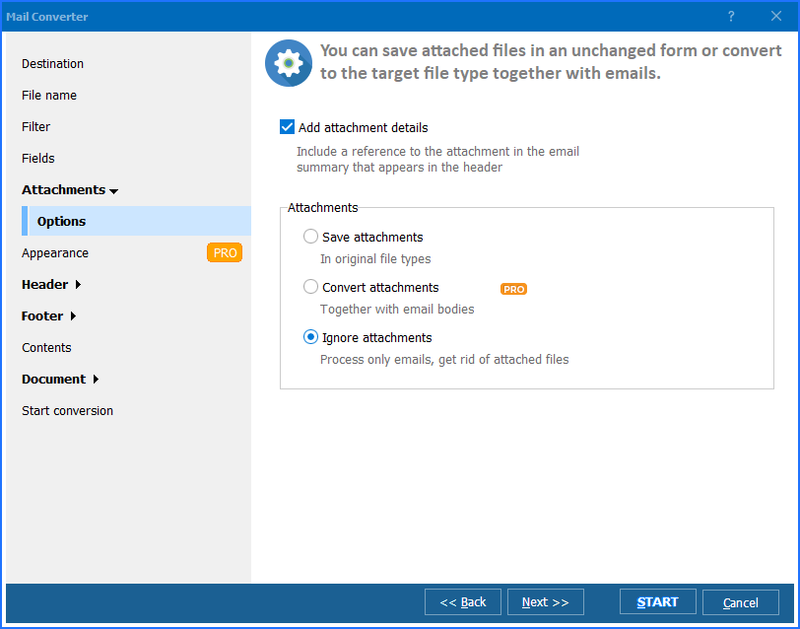 The free online email converter if you have 1-2 files or the desktop Total Mail Converter to convert emails in batches with advanced settings.